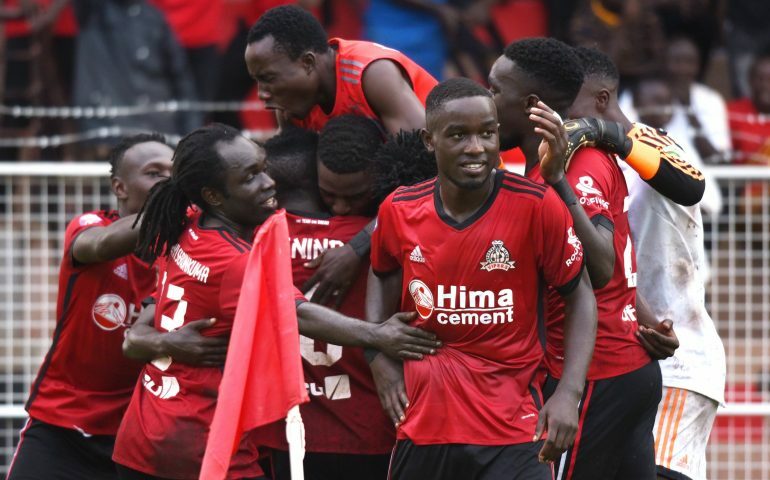 SUDAN – Uganda’s CAF Champions League representatives, Vipers SC will be hoping for a positive result in their preliminary round first leg clash away to Sudanese side-Al Merrikh in Omdurman. The Venoms who are featuring in only their second spell in Africa’s premier club competition have it all to do on Wednesday if they are to replicate KCCA FC’s adventure last season. KCCA set the bar high by becoming the first and only Ugandan side to qualify for the lucrative Group stages of the competition under the revised set-up, last season. “We go into this game seeking for a good result away in Khartoum, said Martinez ahead of the game. “It is important that we won our last league game therefore we go into this game with our spirits high. “The players are in good shape and ready to fight for a positive result. The Venoms departed for Sudan minus their first choice goalkeeper-Fabian Mutombora who is currently nursing an injury he suffered while on international duty. Bashir Sekajja who deputized in goal in Vipers’ 2-1 win over Paidah Black Angels in their last league game is set to replace the Burundian on Wednesday. They will also be without left-back Aggrey Madoi who was left out of the match day squad under unclear circumstances. That means Yayo Lutimba will start on the left side of the four man defence. Al Merrikh has in the past played games against Ugandan opposition in different CAF Competitions with the first dating back to 1987 when they defeated the Blue Bats 2-0 in the now dissolved Africa cup winners cup. They are a side who will surely pose serious questions to Vipers’ ambitions, having featured prominently in the Champions League. This will be their 21st appearance in the competition with their best result coming in the 2015 edition were eliminated at the semifinals stage. This will be the first ever competitive meeting between the two sides. Al Merrikh have played against Ugandan oppositions 9 times in the past, winning 7 (D1 L1). The loss came at home to KCCA in the CAF Champions League four years ago when they were defeated 2-0. The Red Devils go into the game having lost only two of their last 19 games in all competitions (W14 D2). In the Champions League, they have won only three of their last 8 (D1 L4). At home, they have been formidable at home, winning 13 of their last 15 (D1 L1). The only loss in that period dates back to May 2017 when they lost 2-1 to Tunisian giants Etoile du Sahel. For Vipers, they have lost only one of their last 13 fixtures in all competitions (W6 D6). The loss came at the hands of Kenyan side-Gor Mahia in the CECAFA Kagame Cup in July. The Venoms are featuring in only their second CAF Champions League edition. In the first, they were eliminated at this (2-1 on aggregate) stage by Nigerian side-Enyimba.